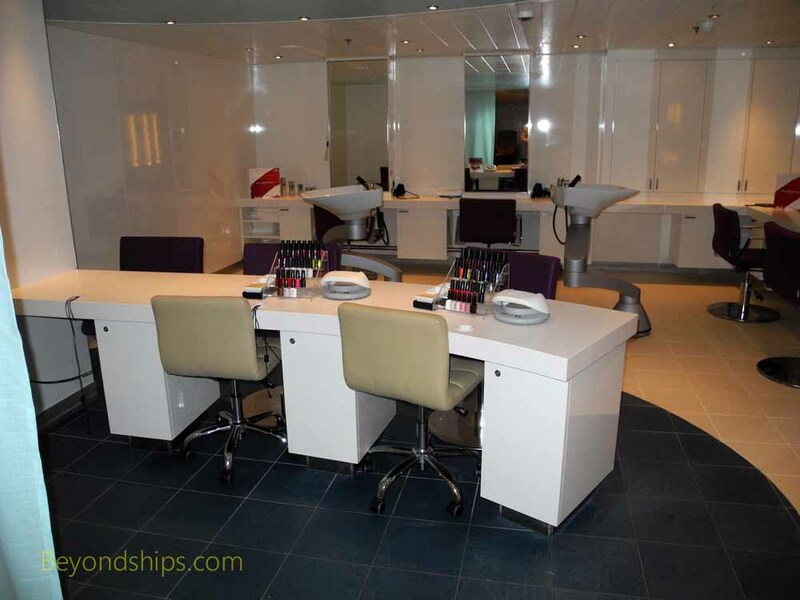 The spa on Carnival Vista is the Clound Nine spa. 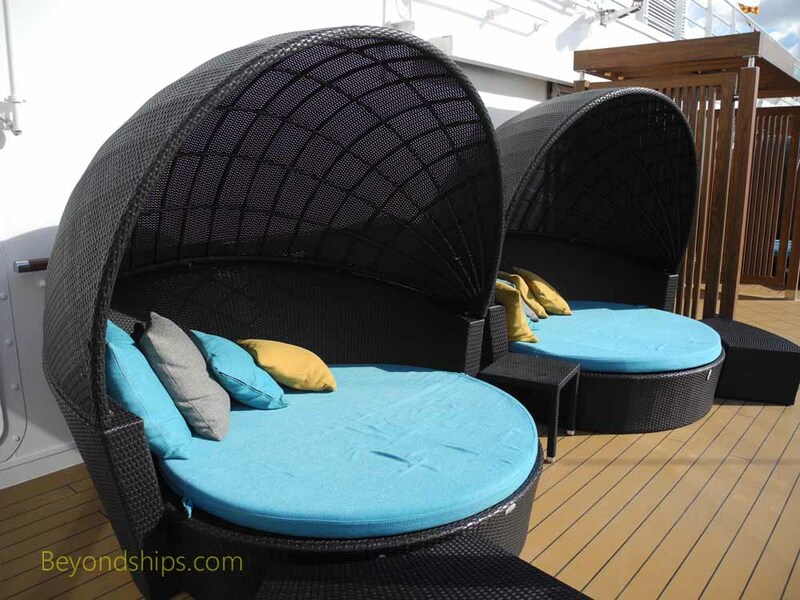 It includes three components. 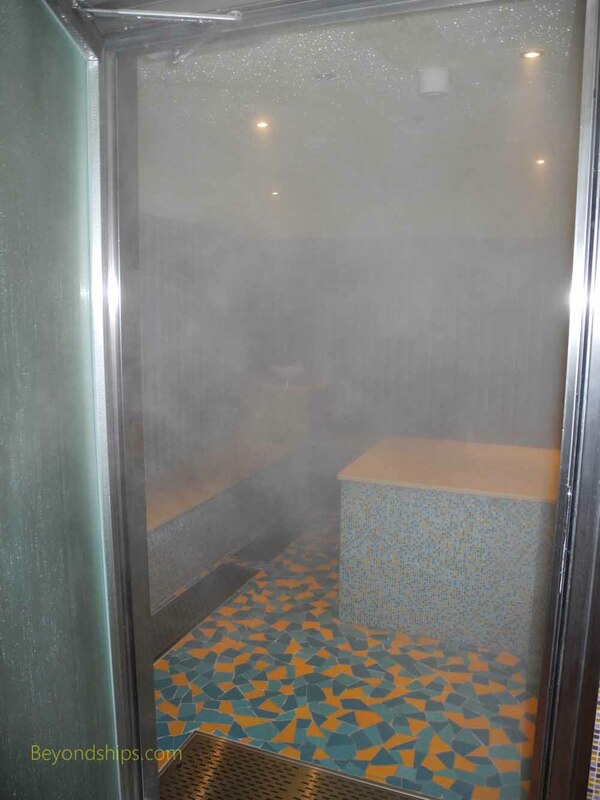 The first componsent is the spa itself. 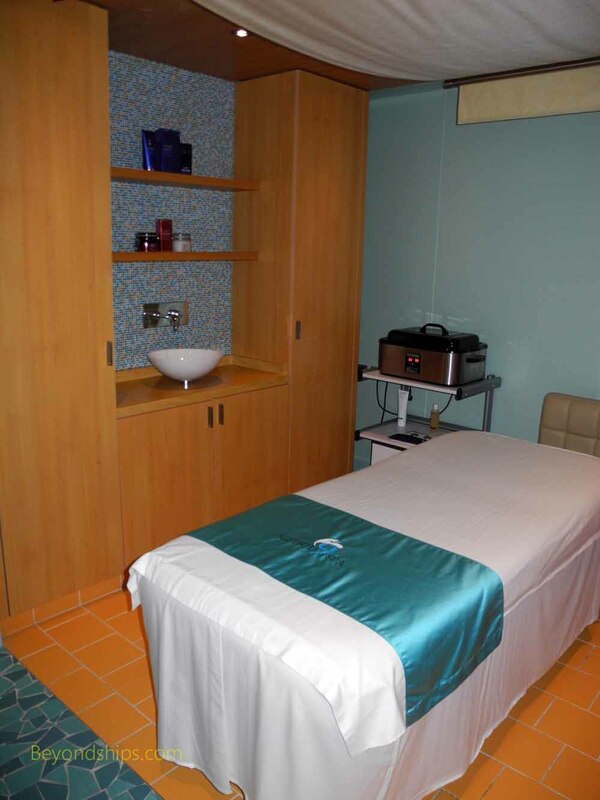 It offers treatments including various types of facilas and massages in individual rooms and in rooms for couples. 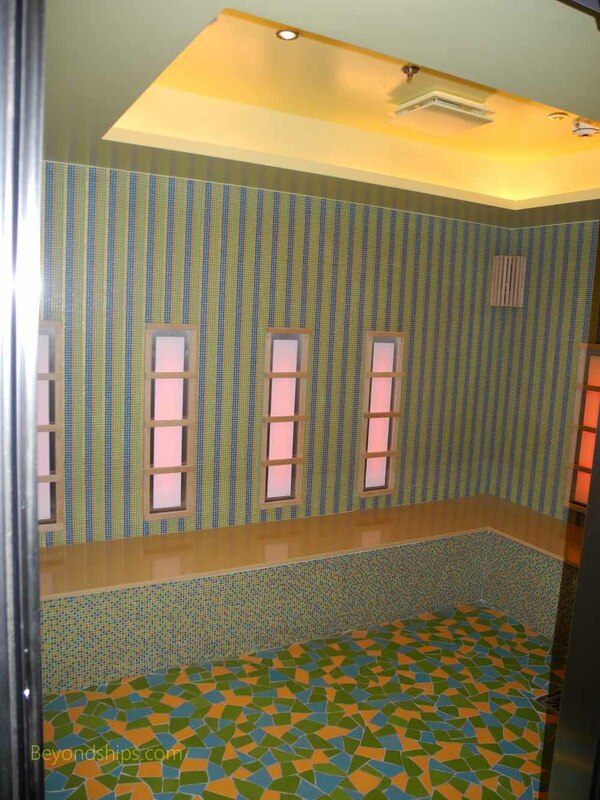 The spa includes a VIP area with thermal chairs, a small pool, steam rooms and saunas. 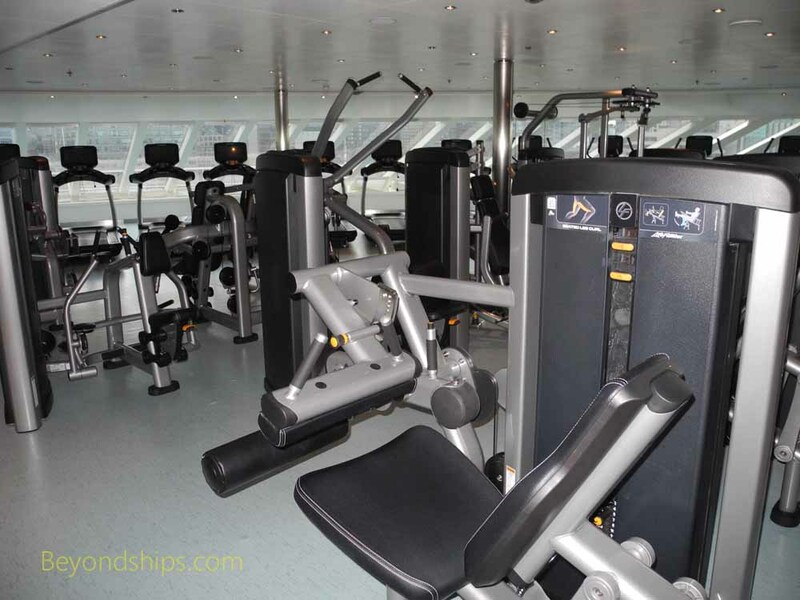 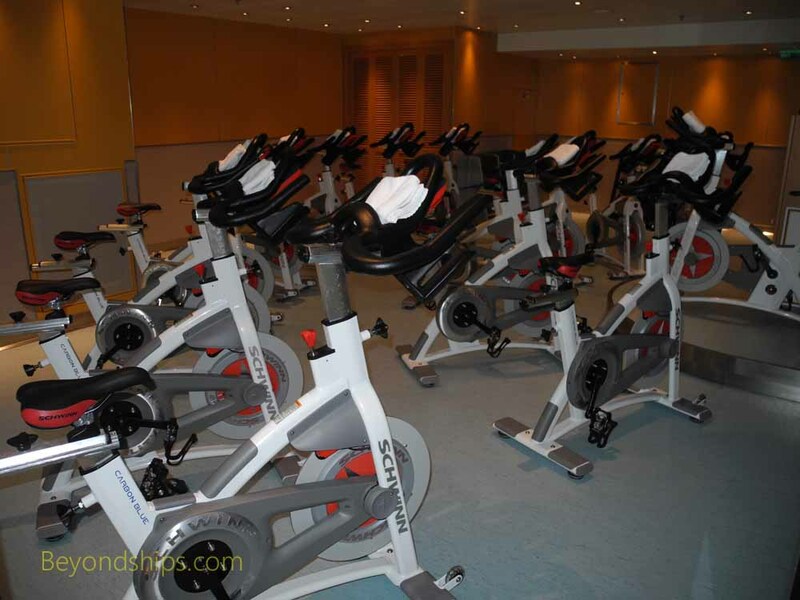 The spa complex also includes the Fitness Center, which is equipped with treadmills, resistance machines, free weights and an area for fitness classes. 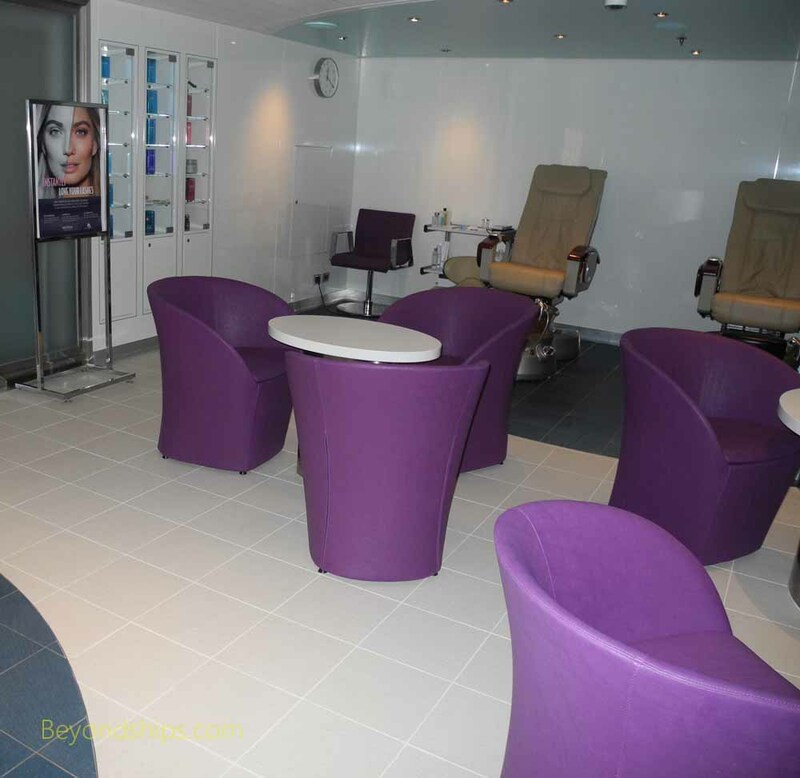 The spa area also includes a Salon. 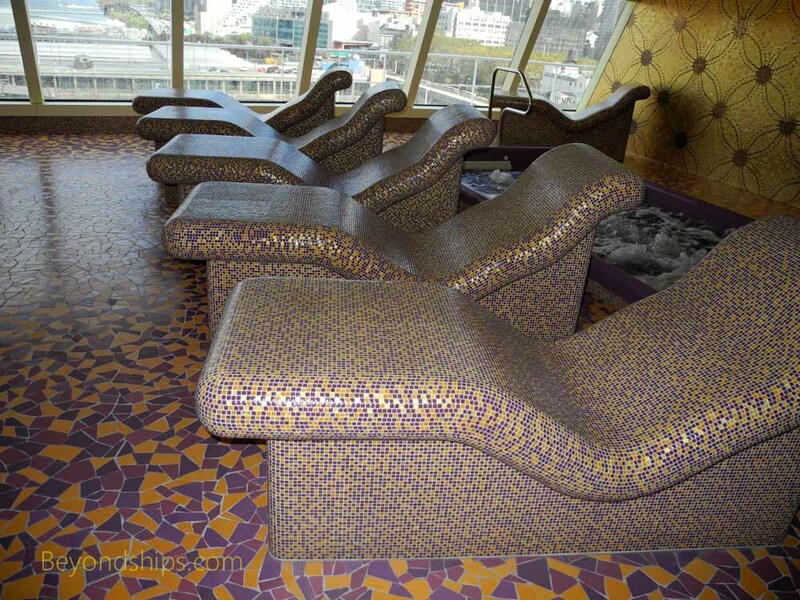 ​The Serenity area is not part of the spa. 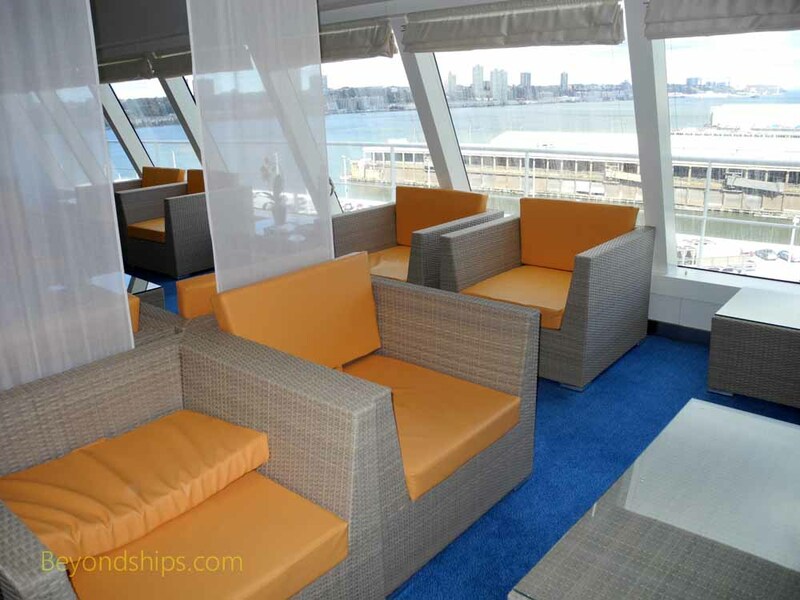 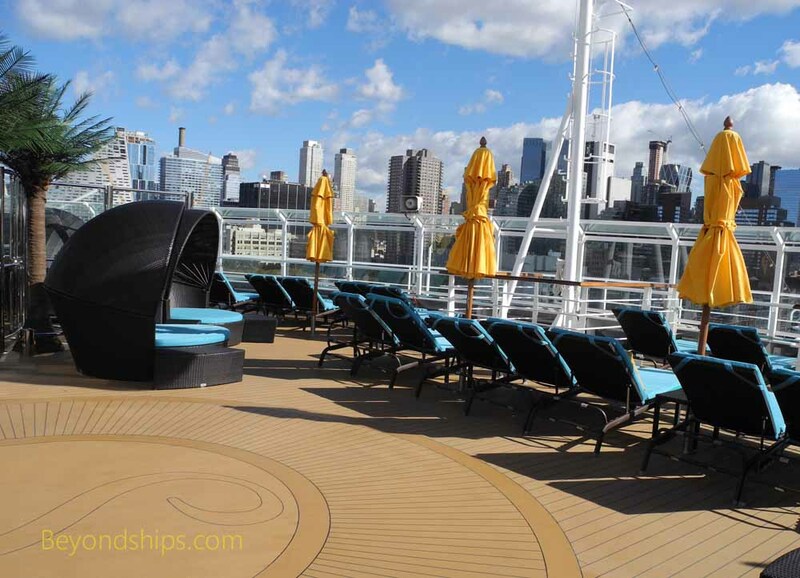 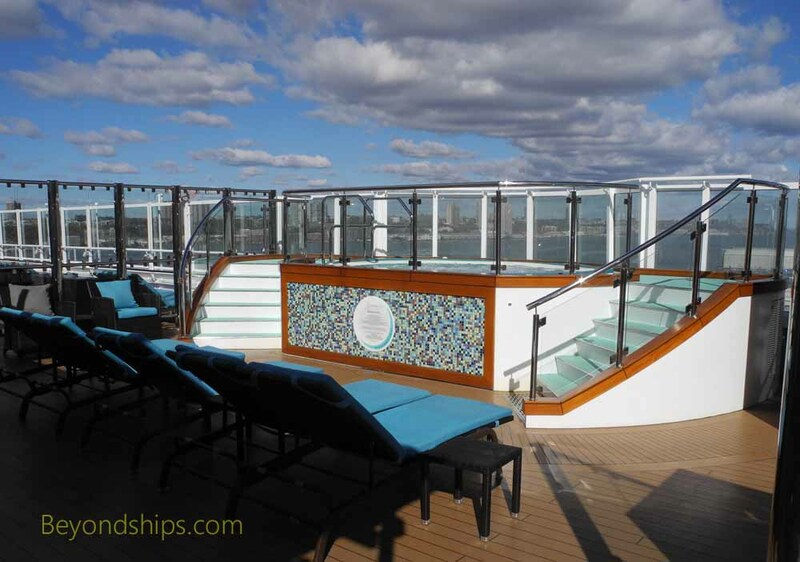 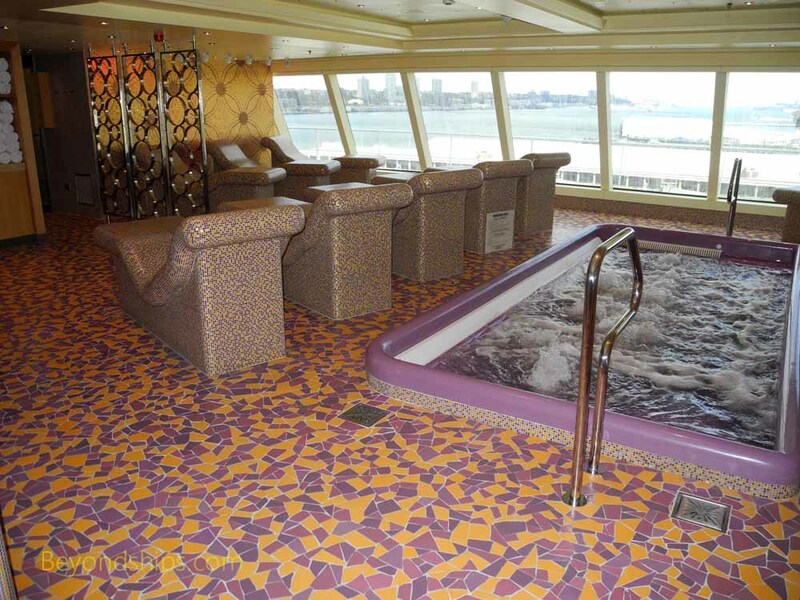 Rather, it is an adults-only relaxation area that has enhanced deck furniture and its own hot tubs. 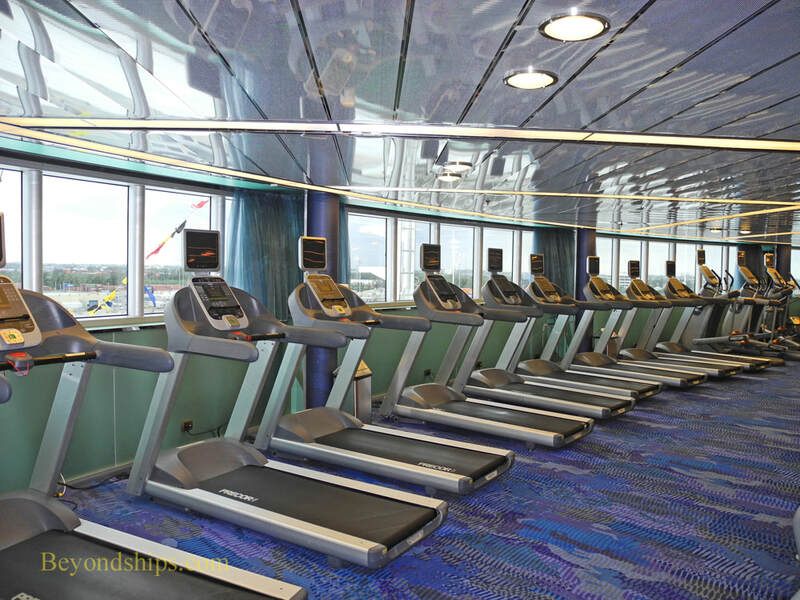 There is also a bar and a lunchtime salad bar.